FRANKFURT -- Global vehicle manufacturers have appealed to the Chinese government to delay and soften proposals for electric and hybrid car quotas, according to a letter seen by Reuters. The letter is a joint protest against China's new energy vehicles (NEVs) proposals, which include a goal for hybrid and electric cars to make up at least a fifth of vehicle sales by 2025 with a staggered system of quotas beginning in 2018. "The proposed rules' ambitious enforcement date is not possible to meet, and if unchanged would lead to a widespread disruption of the product portfolio of most automakers operating in China. At a minimum, the mandate needs to be delayed a year and include additional flexibilities," the letter said. The letter, addressed to China's Minister of Industry and Information Technology, dated June 18, signed by the American Automotive Policy Council (AAPC), the European Automobile Manufacturers Association (ACEA), the Japan Automobile Manufacturers Association (JAMA) and the Korea Automobile Manufacturers Association (KAMA) called penalties for non-compliance unnecessarily excessive. "Because we have common concerns with the proposed NEV rules, we have joined together to offer, with utmost respect, six recommended modifications that address those concerns while still meeting the goals of those rules and other related policies," the letter said. Carmakers have requested a delay to implementation of the quotas, asked for the system of credits to become more flexible, and for China to reconsider penalties for not reaching the quotas. 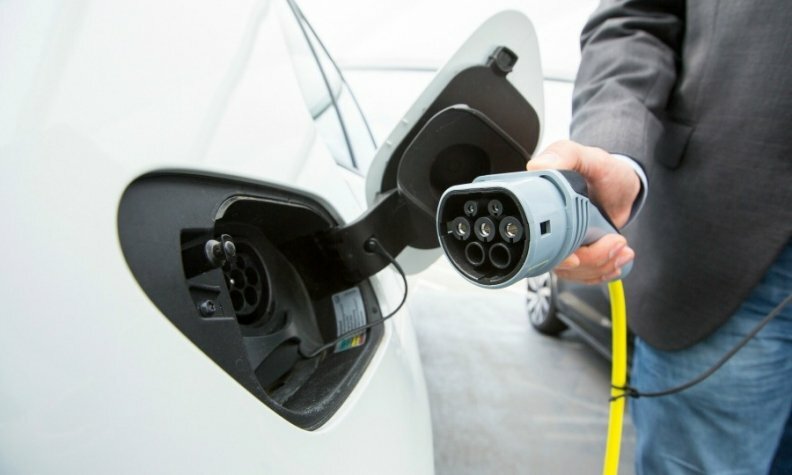 Foreign manufacturers want more credit given to plug-in hybrid cars, for carmakers to be allowed to "bank" credits accrued from already sold cars as well as to "carry forward" credits into subsequent model years. In addition, they are demanding an ability to purchase NEV credits from the Chinese government. They said banning carmakers who fail to meet the quotas from importing and producing non-NEV vehicles would be an unprecedented step which would lead to significant disruptions and dislocations within the Chinese and global automotive industries. They also called for equal treatment of Chinese and foreign makers of electric cars and batteries when it comes to subsidies, which currently do not apply to imported goods. "This preference for domestic automakers over import automakers undermines the environmental goals of the regulation, puts imports at a competitive disadvantage, and risks opening China up to international trade disputes," the letter said. The existence of the letter was first reported by Germany's WirtschaftsWoche magazine.